Kids like vibrant and bright shades in their every room. So it’s a good idea to install polka dot pattern on the bathroom tiles. This pattern makes your kids cheerful. Kids will enjoy in taking bath and feel relaxed from their daily school routine. 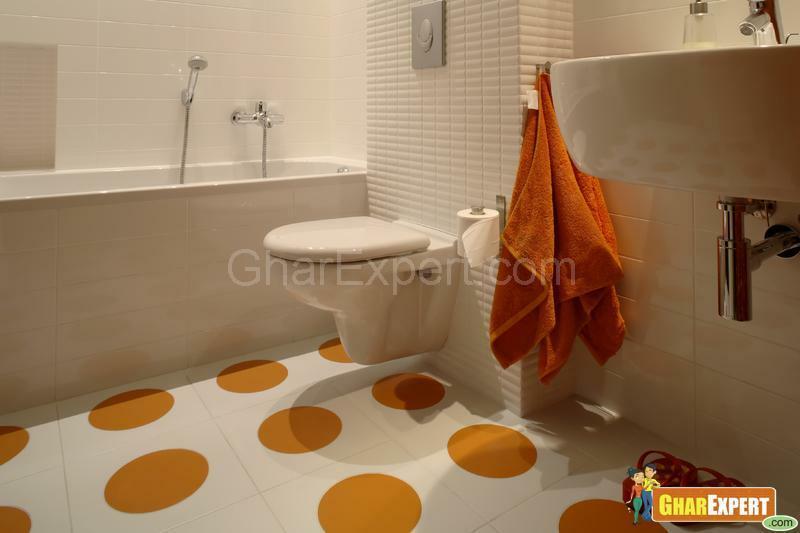 Bright colored polka dots look highly appreciable on the light colored tiles. The rest of the furnishings of the bathroom go well with the bathroom interior theme.